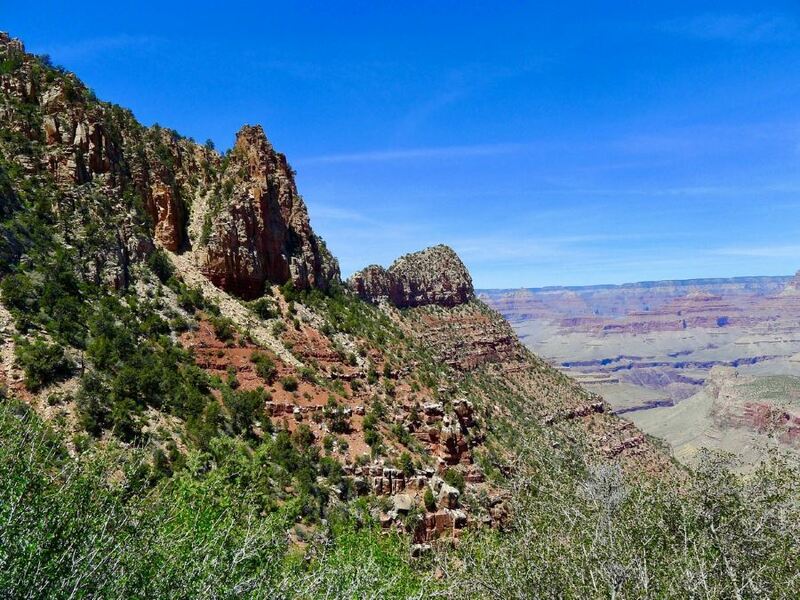 This trail may not be quite as “epic” as those that hike way down the river, but nonetheless the steep climbing is easily worth the fantastic views of the eastern section of the Grand Canyon – and it’s typically less crowded, too! 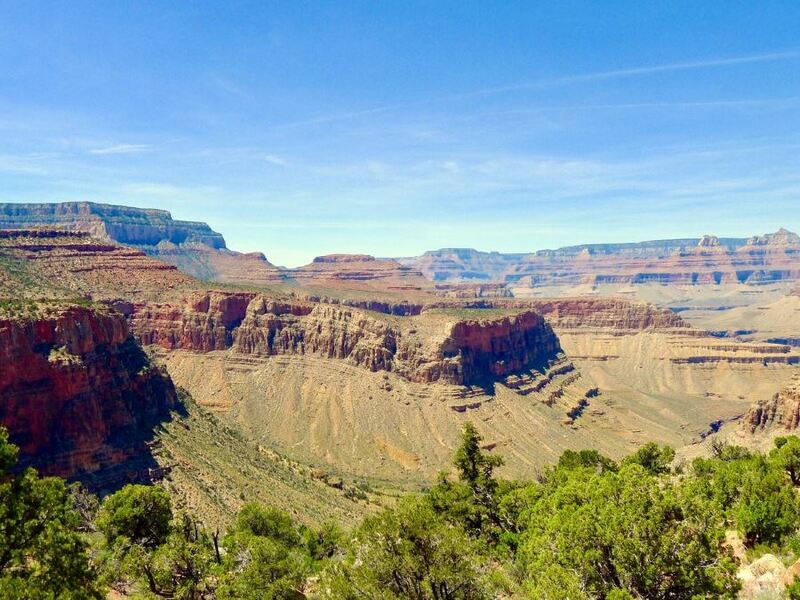 From Grand Canyon Village drive along route 64 East towards Dessert View. Within 17.7km there will be a signed turnoff for Grandview Point. Here you will find limited parking and pit toilets, however no water! The trail begins to descend to the right of the scenic viewpoint. For the first few switchbacks it will most likely be relatively crowded — typically by people with tripods trying to get a better shot. By the third or fourth switchback, however, the crowds really die down. 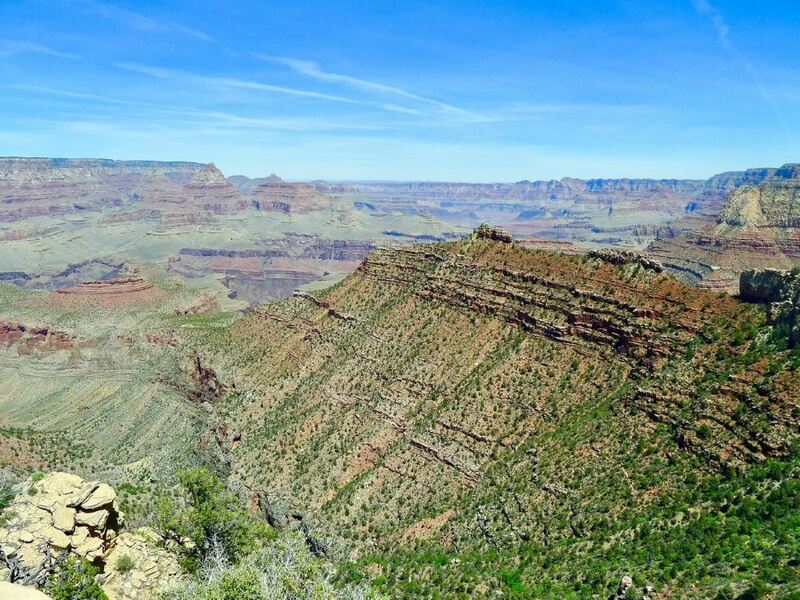 This trail is far less travelled that the Bright Angel of Kaibab. Once considered to be the best way down to the river, the path now has a few scary sections. There are several spots with steep, unguarded cliffs right beside the trail. Coupled with the trail’s steepness and the slick cobblestones that it’s composed of, this hike may be a bit precarious for some. 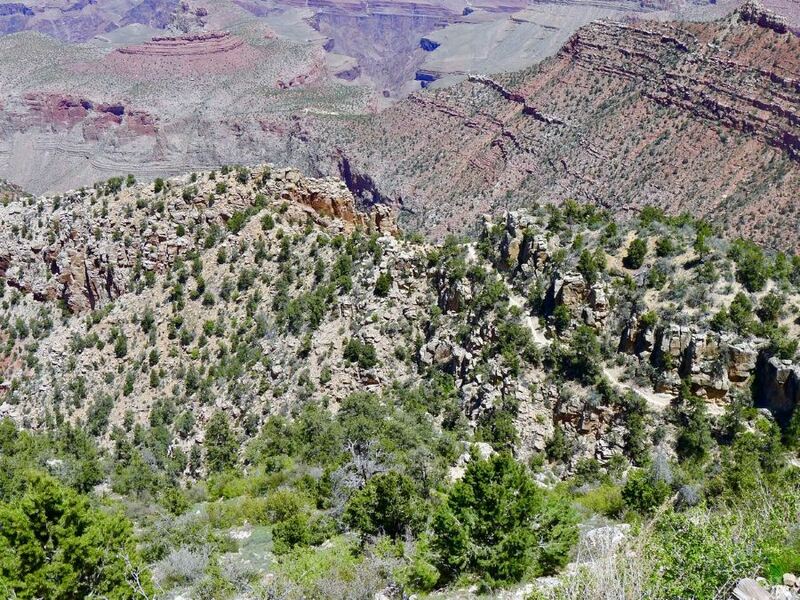 You will switchback down the face of the canyon for a few hundred meters, then veer right and go around a few points. 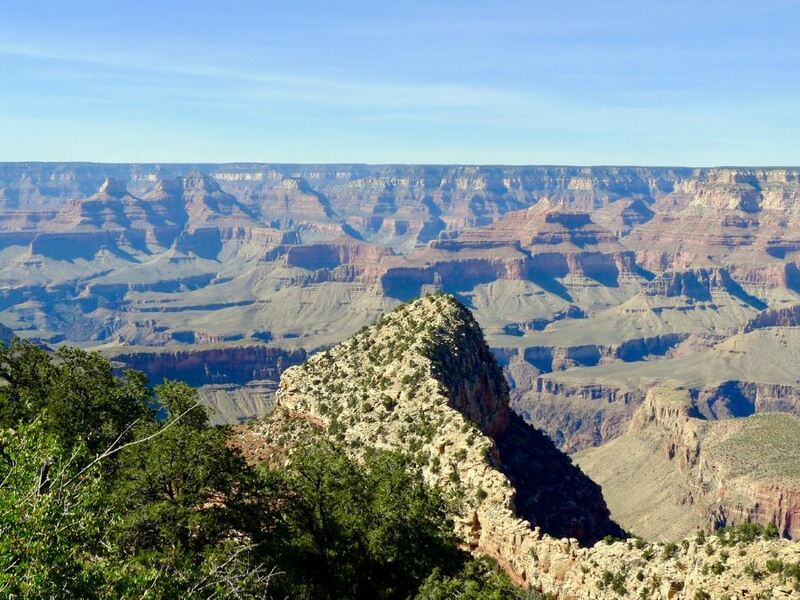 These all offer fantastic views nearly to the Colorado River. The first half of the trail (approximately the first 3/5 of the elevation change) has pretty good shade cover for most of the day. 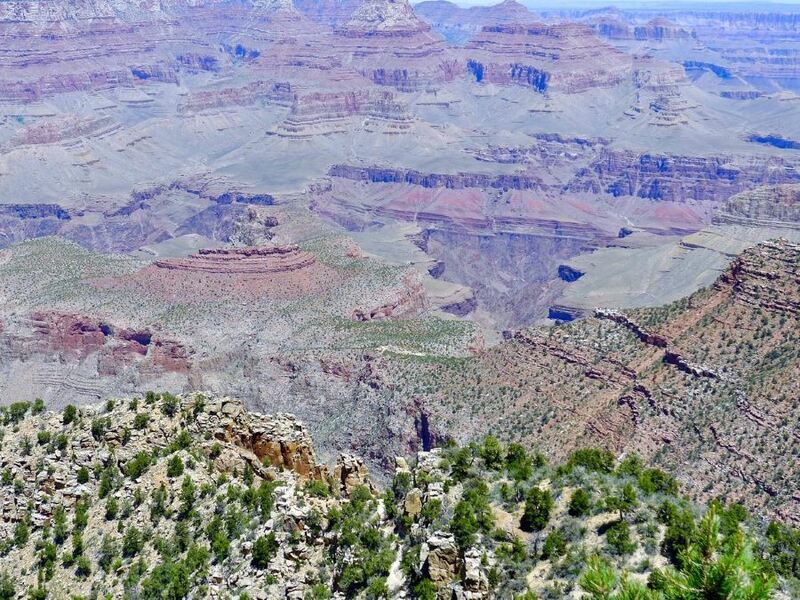 However, as you round the final bend and hike out along the side of one of the canyons, the shade disappears. Coupled with the lack of water, this can make the last section of the hike miserable. It doesn’t have to be, however, if you hike early and bring plenty of water to drink (and to pour on yourself). Visible early on in the hike, Horseshoe Mesa is the plateau that juts out into the canyon. It was once a mine, though with falling copper prices and the pure difficulty of bringing it to the rim, it was quickly shut down. 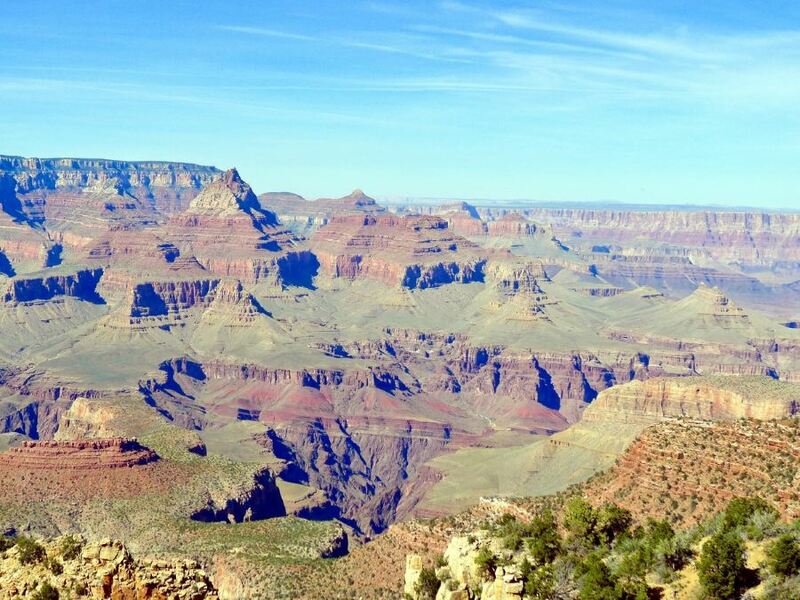 Those who started the mine wisely switched to the obvious tourism potential of the Grand Canyon instead! The remnants of one of the shacks that assisted in the operation of the tiny mine still remain, however. The last three quarters of a mile on the trail are the least steep, leading out towards the mesa itself. 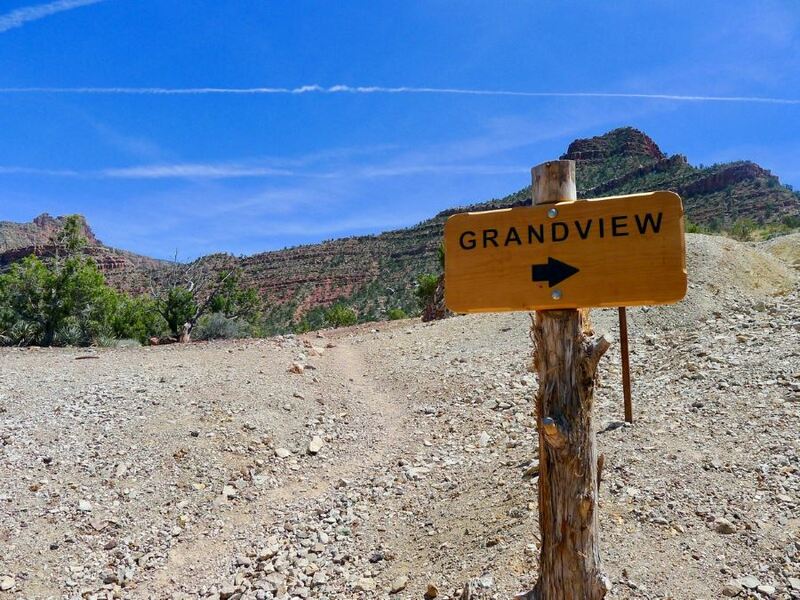 Once there, there will be several signs for other paths leading down to the Colorado River, and other trans-canyon trails. 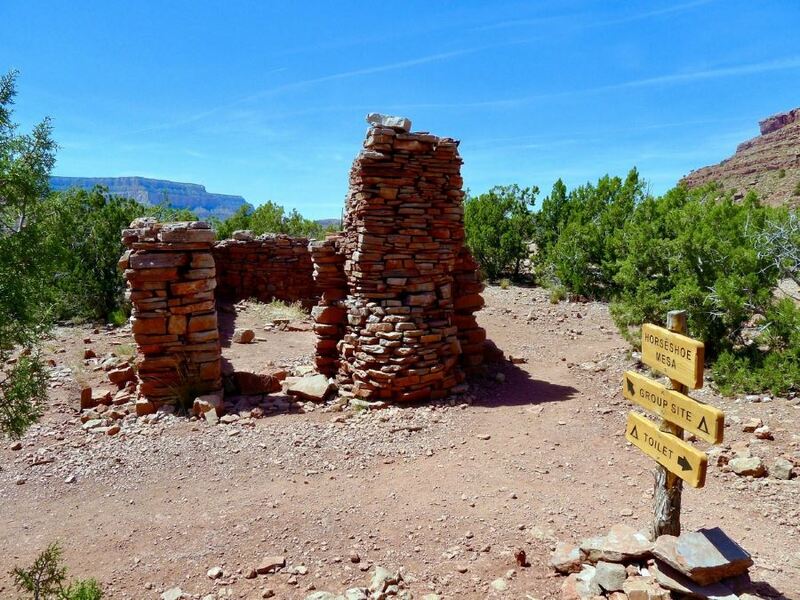 Follow the signs for Horseshoe Mesa and within a few minutes you will be at your destination. There is only minimal shade to be found while resting for the way up! Leave early to avoid descending and ascending the last section in direct sunlight. 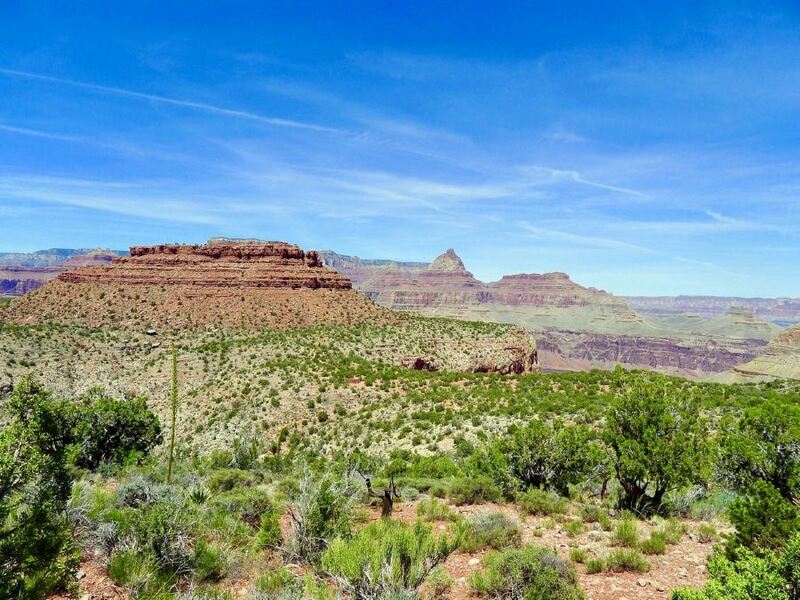 There is a backcountry campground at Horseshoe Mesa, offering a great place for a first backpack trip! Talk to the people at the backcountry office for more information.